I offer a meager entry for the theme of the week. 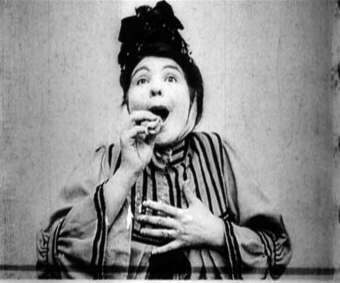 Alice Guy-Blaché was a french born director who resided in New Jersey for most of her career. She directed over 1,000 films by the year 1920. While people had been experimenting with film for some time there hadn't been a film that truly told a story before 1895 or 1896. The problem is filming a story usually requires things like jump cuts, which people didn't know how to do. Guy is generally credited with creating either the first or the second narrative film, The Cabbage Fairy in 1896. This was a few months before Georges Méliès, whose films were the subject of Hugo, began making his narrative films. Guy-Blaché was a pioneer of film. She created elaborate films with large casts. She wrote tight scripts and used interracial casting. Guy experimented with sound and special effects before people like DW Griffith had even begun work. Guy was more than just the first female director. She was a pivotal person in the art of early film and those who came after her, DW Griffith, Charlie Chaplin, Buster Keaton, all owed her a debt of gratitude. Alice Guy-Blaché's story is just one of many that show that film isn't an industry women have had to try to break into late. Women were there at the forefront. Writing scripts, directing films, producing movies, as heads of studios. And it was only with time that they got shut out of the industry.